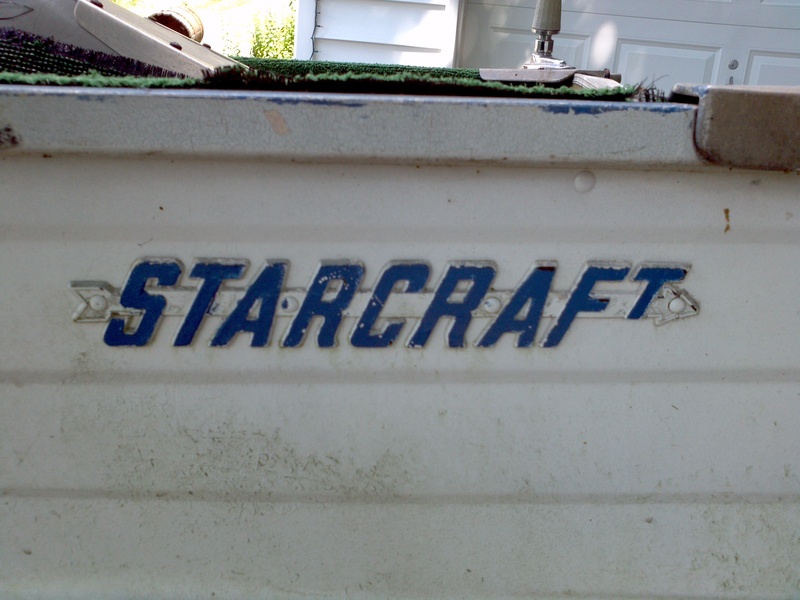 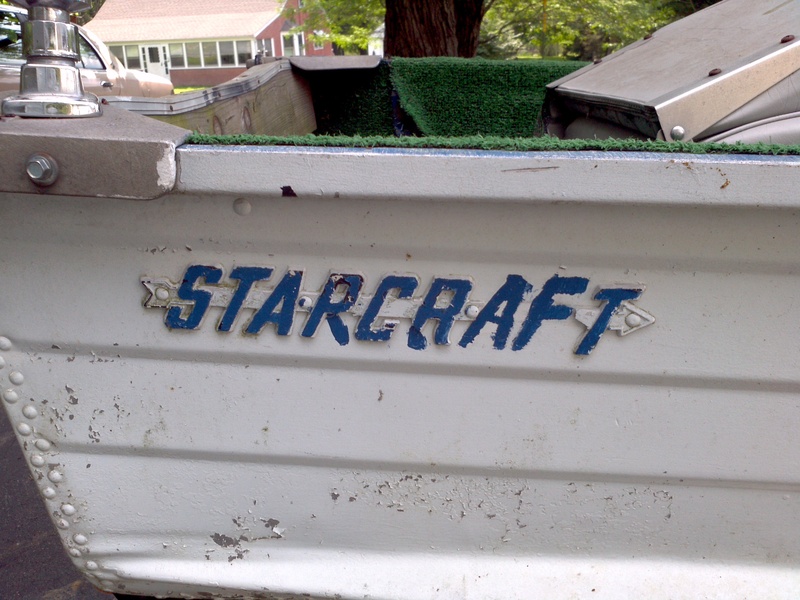 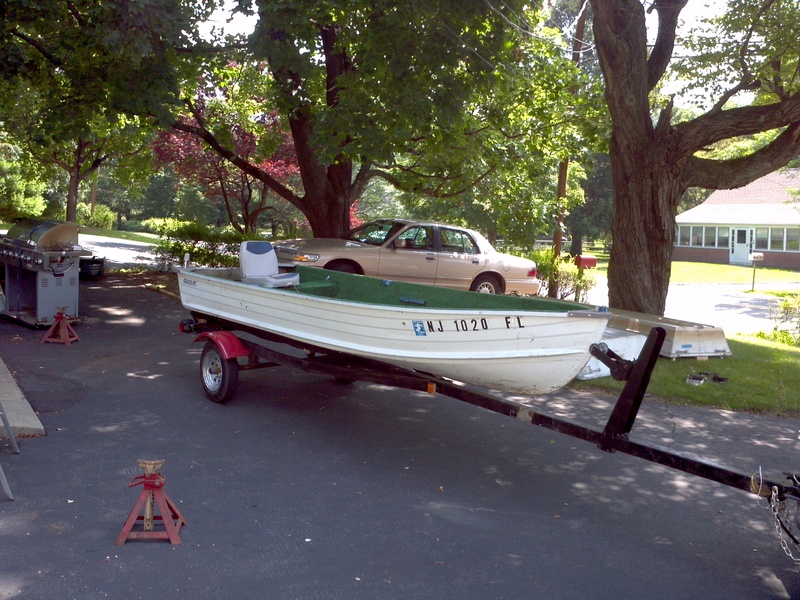 My primary boat these days is this 14′ Starcraft aluminum fishing boat that I picked up from a farmer in Hackettstown in July 2011. 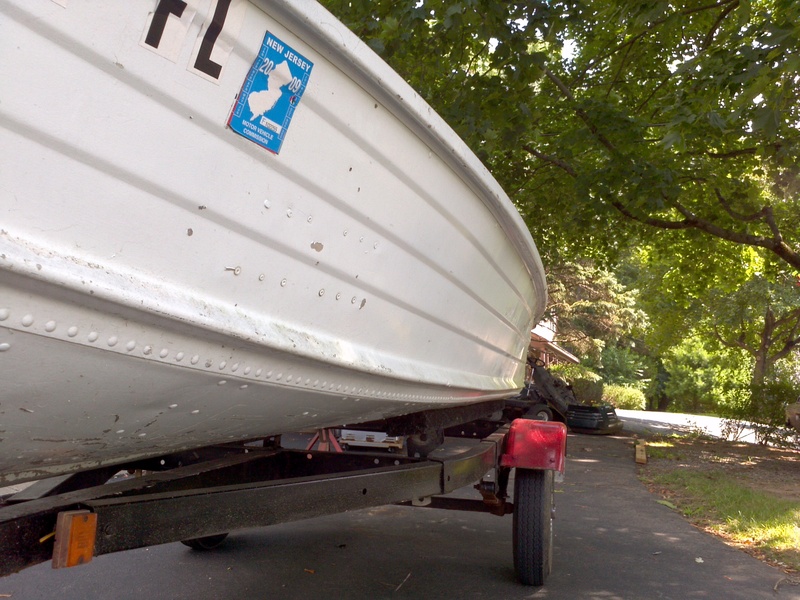 All vessels built after 1972 were required by law to have a HIN marked on the boat… This boat does not have one. 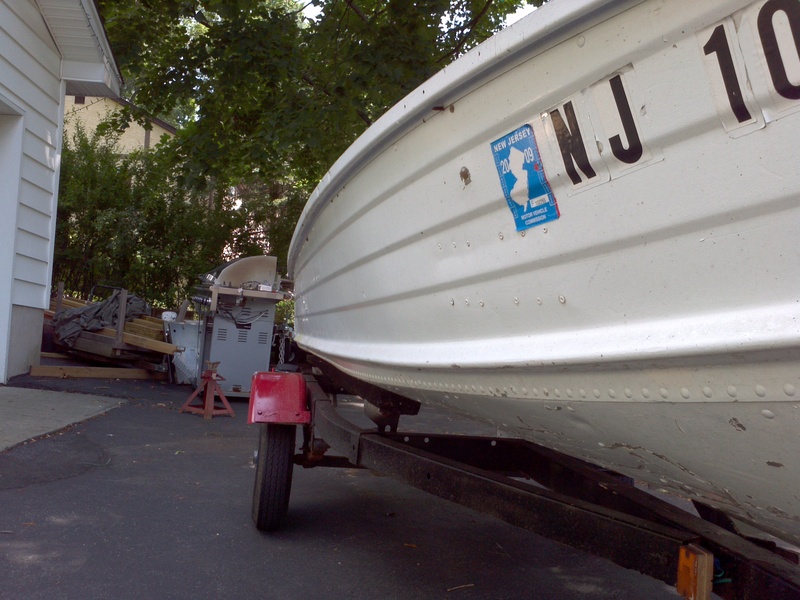 The title uses a HIN generated by the state of NJ and an incorrect manufacture date of 1980. 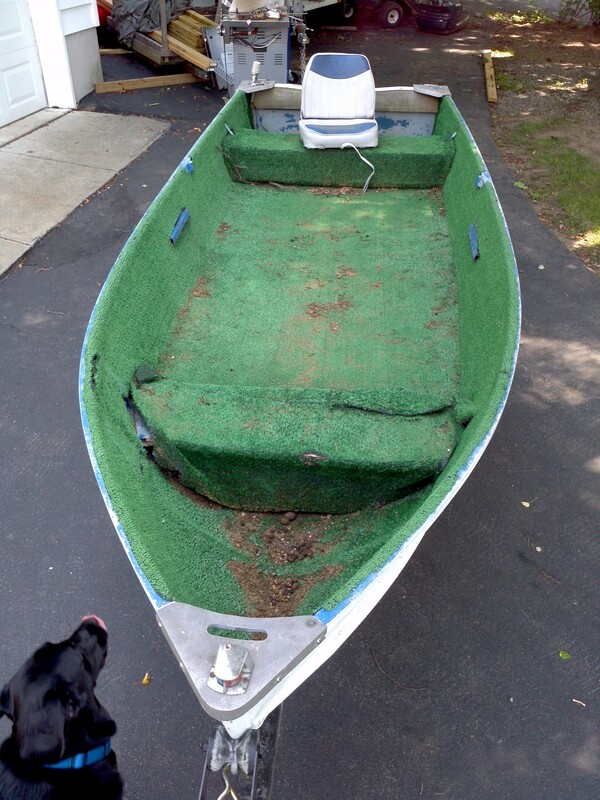 I am still working to research the exact date and model of the boat, but my best guess so far is that it is a 1971 or earlier Sea Scamp model. 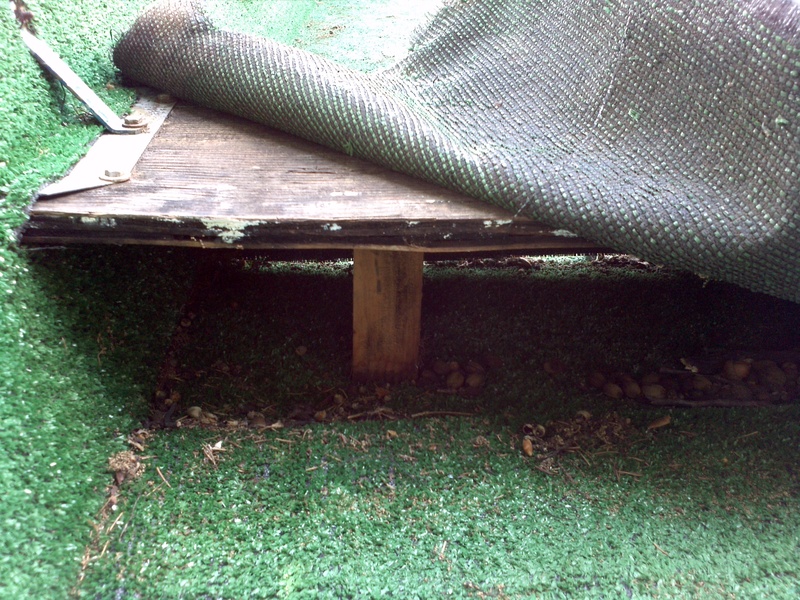 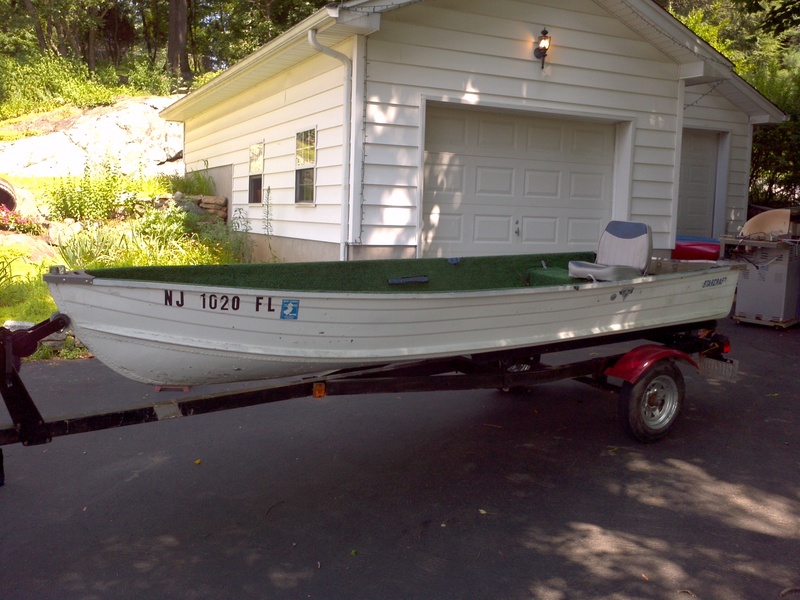 When I got it home, it was full of old acorns and rotten indoor/outdoor carpeting. 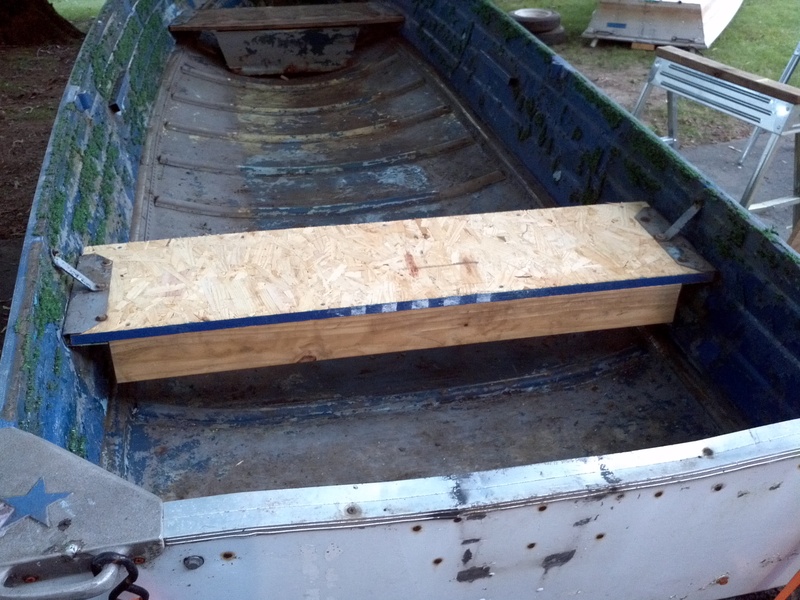 I ripped out what I could, quickly fabricated a simple rear bench for testing, and took her out for a test float. 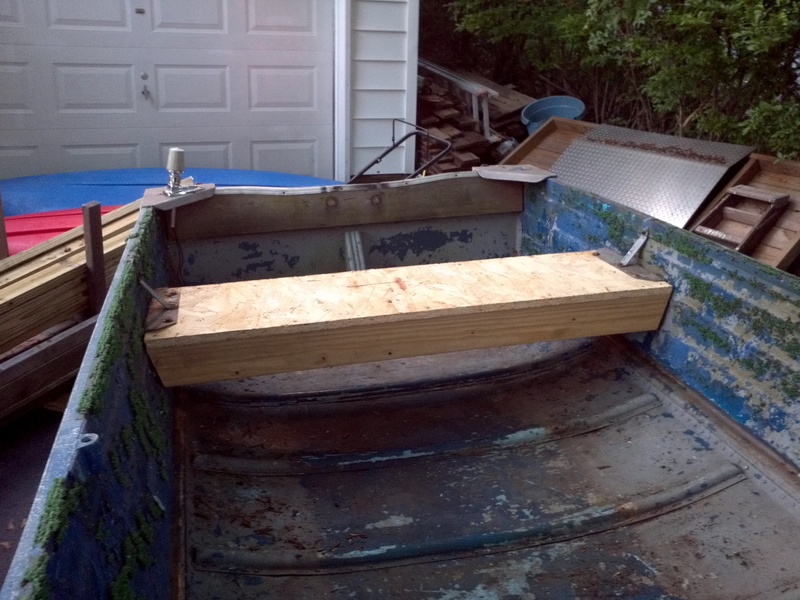 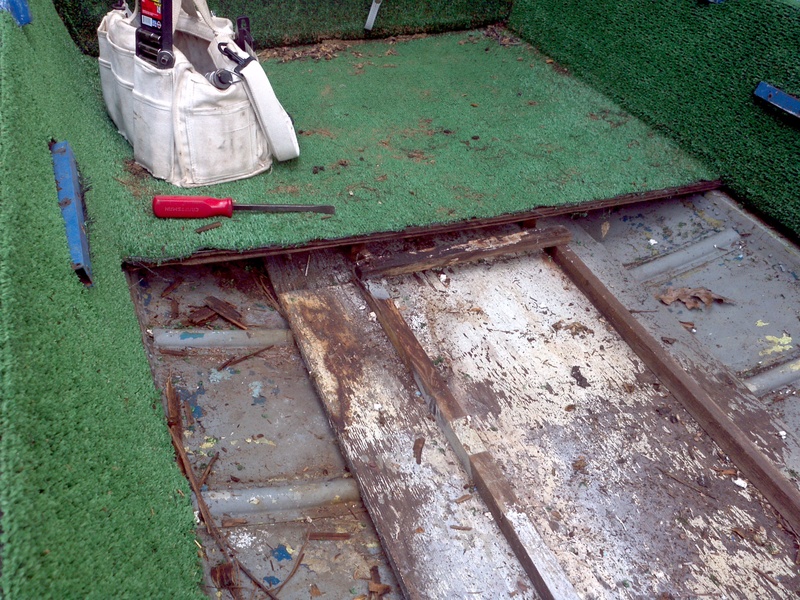 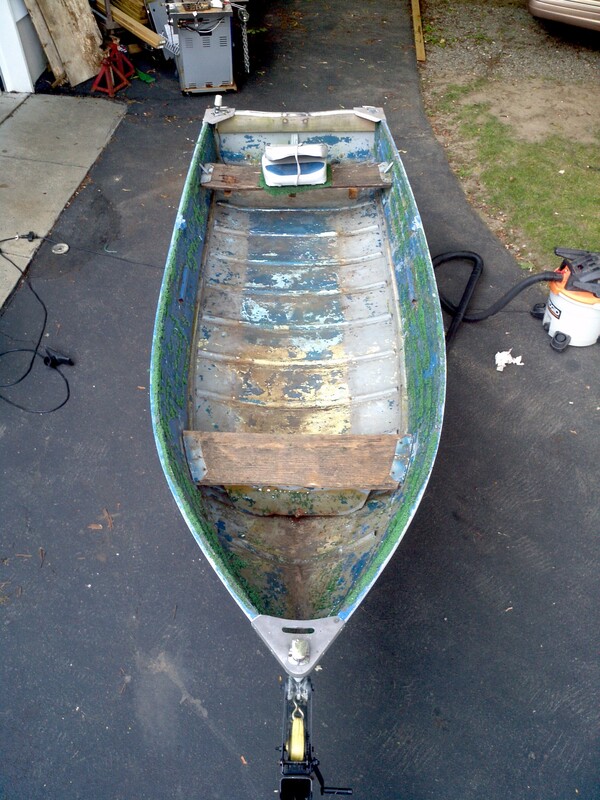 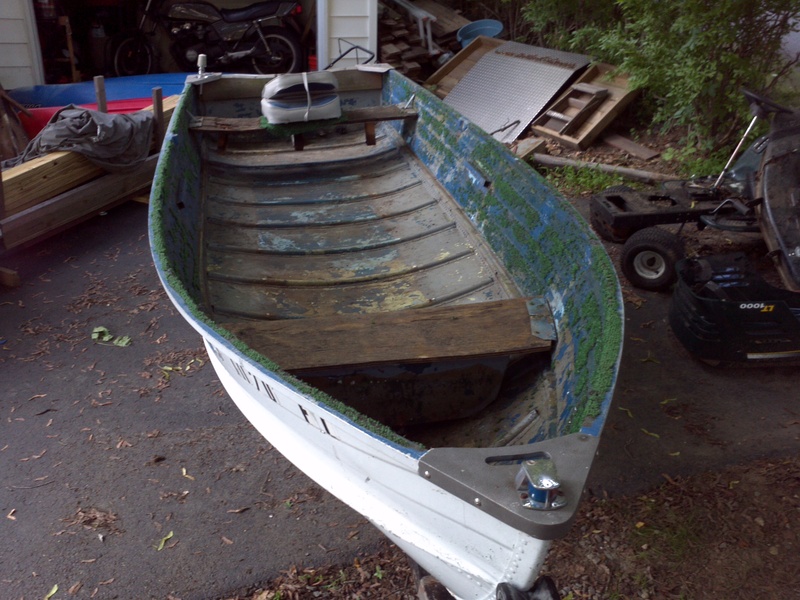 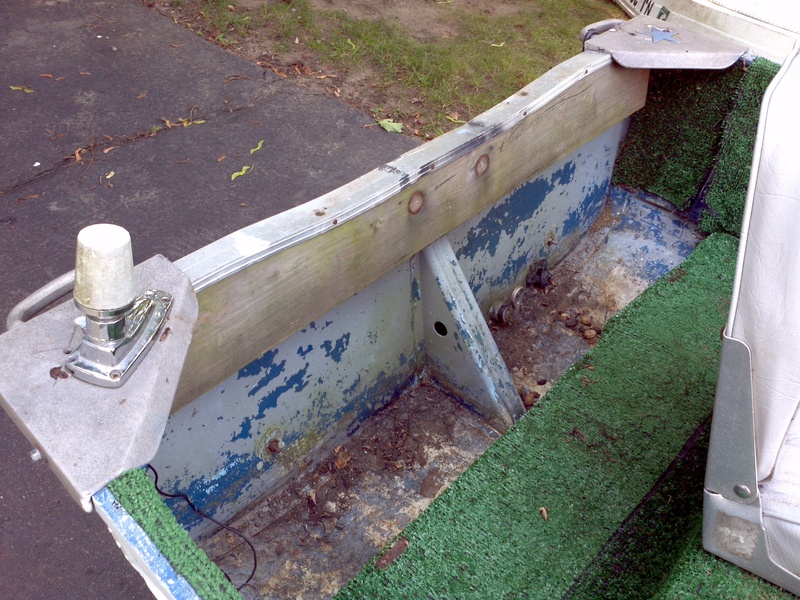 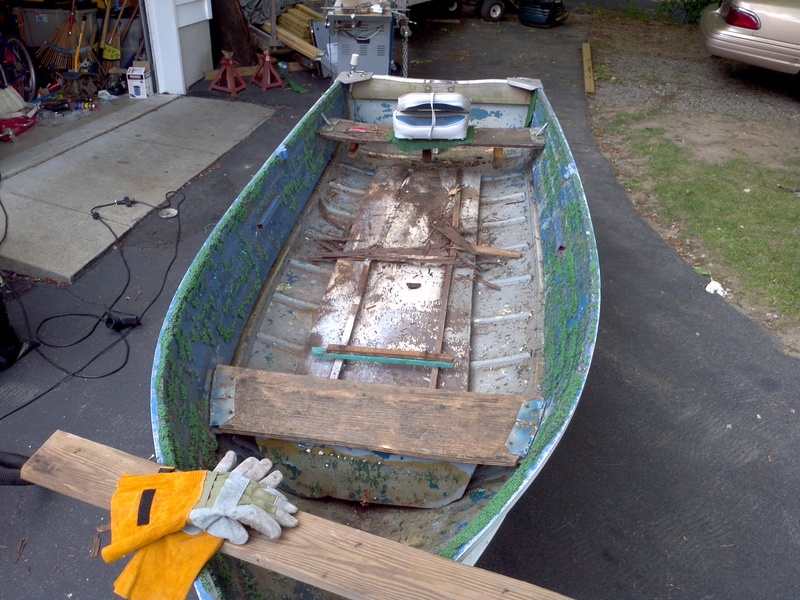 In the spring of 2012, I decided that I would be doing a complete restoration and modification of the boat.